Each facial I give is promised to be personalized. Whether it may be anti-aging, acne challenges, or hyper-pigmentation, whatever your concern, my goal is to address your specific skin concerns and meet your exact needs! Starting with an extensive consultation and analysis, your experience will combine a customized treatment with an ultimate relaxation experience. I will use products and modalities that are designed to give you the results you seek. 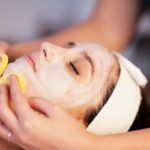 This treatment includes cleansing, exfoliation, enzyme, facial massage, mask, extractions, hand, arm, and foot massage, sun protection, and moisturizer. For optimal results include any additional techniques and advanced technologies that are available. You will experience a thorough and expertly given skin treatment like no other! Strapped for time? Now you can get the look of radiant, luminous skin without the downtime! Renew and refresh in 30 minutes with one of these Express Specials! This is the perfect mid-day, pick-me-up for cell rejuvenation! Treatment includes cleanse, analysis, microdermabrasion, mask, and either a hand/arm massage or a scalp massage, followed by moisturizer, and sunscreen. This Express peel offers a micro removal of the epidermis, leaving the skin looking glowing and radiant! Brighten your skin today! Treatment includes cleanse, analysis, enzyme/peel, mask, and either a hand/arm massage or scalp massage, followed by moisturizer, and sunscreen. No need to set aside hours to reap the rewards of a facial. We’ll get you in and out of here in no time! Call to schedule these treatments! This is a firming and hydrating body wrap that stimulates circulation to refine and strengthen the appearance of your skin’s structure. In this custom designed body wrap we use a massage bar formulated just for us by Good Earth and at the end, it’s yours to keep! Treat your skin to a healthy looking glow. Take your skin care results further with our deeply moisturizing wraps and treatments. Rich in antioxidants and vitamins, these treatments will leave skin feeling invigorated. Facials aren’t just for the face! We offer back facials to specifically target the hard to reach spots that you can’t tackle at home. This professional treatment cleans your skin at a deeper level. It includes a peel or enzyme for exfoliation and mask to encourage cellular turnover and clear clogged pores. What a perfect what to celebrate with girlfriends! Birthday party, bachelorette, shower, or just because! Have your special gathering here and enjoy some of our signature treatments in good company! Fun, laughs, and relaxation! This is a highly effective treatment for many different conditions! 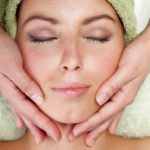 Microdermabrasion is a unique procedure that removes dead flaking skin and stimulates the production of young skin cells and collagen. To encourage new skin cell growth at a faster rate it is important to exfoliate the dead and maturing skin cells regularly. With microdermabrasion we can rid the epidermis of the minor imperfections that live there such as fine lines, wrinkles, and blemishes. Other definite improvements you will enjoy is leaving the skin feeling smooth, reducing acne marks and hyper-pigmentation, and better product absorption. For best results, treatments should be done 1-2 weeks apart for 6 treatments, and then once a month for maintenance. Buy 6 and get the 7th free! 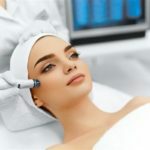 Micro-channeling is a skin rejuvenation procedure that creates invisible micro-perforations in the skin to simulate cells (known as: keratinocytes) to increase production of new collagen and elastin. Micro-channeling stimulates the release of epidermal growth factors without damaging the skin. Reduces Fine Lines & Wrinkles: usually caused by loss of elastin and collagen, fine lines can be significantly improved by micro- channeling– which naturally boosts the collage and elasticity of your skin. Age Spots: micro-channeling aids in shedding the top layer of your skin to minimize age spots– which also helps your products abroad and work more efficiently. Scars: micro-channeling has the ability to break upload scar tissue and stimulate collagen and elastin production that is similar in healthy skin tissue. Acne: micro-channeling benefits acne by boosting the absorption and efficacy of topical acne products directly into the treated area. Rosacea: a skin disorder that produces facial redness that can lead to the breakdown of collagen– which can be helped through micro-channeling. Pore Size: reduces the size of pores– especially those around the nose and cheeks, by producing more collagen and thickening the epidermis layer of your skin. Stretch Marks: treating stretch marks with micro-channeling is similar to the way scars are treated– in the way that it breaks down stretch mark tissue and triggers collagen growth. Hyperpigmentation: triggered by an unusual production of melanin, micro-channeling helps to shed the top layer of skin to produce normal melanocyte. Unlike harsh treatments like lasers and microdermabrasion, micro-channeling is safe for anyone– especially those with darker skin tone, as it doesn’t lead to loss of skin pigment. A simple and safe procedure for exfoliating the epidermis and ridding the skin of the fine vellus hair (peach fuzz). In this treatment I gently move a blade along the surface of the skin which will slough off the dry and dead skin cells, along with the hair. It works great on the superficial hyper-pigmentation, dry skin, fine lines, and wrinkles. Dermaplaning allows for a jump start for skin renewal and infusion of nutrients. The results will immediately give you a more refined, smooth, glowing appearance. Very gentle and non-invasive. This low-level light therapy application treats many conditions! Cutting-edge technology, it produces a natural photo biochemical reaction like the process of plant photosynthesis and has a wide range of benefits. Light energy is absorbed at the surface of the skin to reestablish normal cellular health and functions. LED technology emits safe, UV-free low-level light energy that profoundly affects tissue at the cellular level. Blur, red and near-infrared lights are the most commonly used wavelengths in phototherapy. Blue light penetrates through the epidermis and is known to kill acne bacteria. Red light penetrates the dermal layer and has been shown to enhance collagen and elastin production through photo-bio stimulation of fibroblasts for improved skin tone, quality, clarity, and texture. Near-infrared light penetrates deepest to increase micro-circulation and tissue repair, as well as decrease inflammation and reduce pain. Leaving you with the glowing skin you deserve! 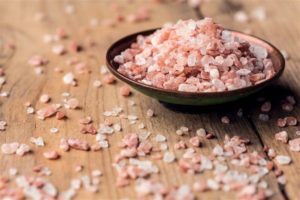 Salt therapy is a natural, safe, non-invasive, way of relieving a wide range of respiratory and skin conditions. A very effective way of using the salt’s natural antibacterial, anti-inflammatory, and super-absorbent properties to provide relief for various immune deficiencies, detoxify the skin and body, and relieve stress. When you sit in the cabin, the halogenerator grinds up pharmaceutical grade salt into minute particles that become airborne when dispersed into the room. The dry salt aerosol particles are then deeply inhaled into the lungs to relieve inflammation and loosen congestion to allow easier and improved breathing. The salt particle helps to open the airways, increase oxygen intake, and cleanse the airways of smoke, dust, pollutants, and other allergens. When salt lands on the skin it helps to relieve sore, red, flaky, and irritated skin. Consistency is the key. Along with treating respiratory illness, skin conditions, relieving stress, and improving athletic performance some of the most common conditions that can be treated are: allergies, asthma, emphysema, bronchitis, pneumonia, sinus infection, wheezing, cold/flu, smokers cough, psoriasis, eczema, dermatitis, acne, rosacea, joint pain, COPD, hay fever, stress and fatigue, ear infections, snoring/sleep apnea and many more! Sessions start on the hour, reservations are strongly encouraged but anyone may participate if you are medically able and there is space available. The cabin comfortably seats two! Bring a friend! Who doesn’t feel better after breathing in the salt air!